Our thanks goes to Deverla SIFERS and Patti RUSSO for much of the information on this family. The oldest known person of this branch is John HOPKIRK, born about 1854 in England. The 1900 census gives John's arrival in the USA and Colorado as 1880. A Register of the Poor in Fremont County, Colorado gives John's arrival as 1887 in the USA and Colorado. His occupation was a coal miner. The 1887 date can't be right, since he had a daughter born in 1886, and his wife was born in Illinois. John HOPKIRK was born in October 1854 in England, and probably immigrated to the USA in 1880. Sometime prior to 1886 he married Harriet THORLEY. Harriet Thorley was born 23 Nov. 1858 in Caseyville, Illinois. 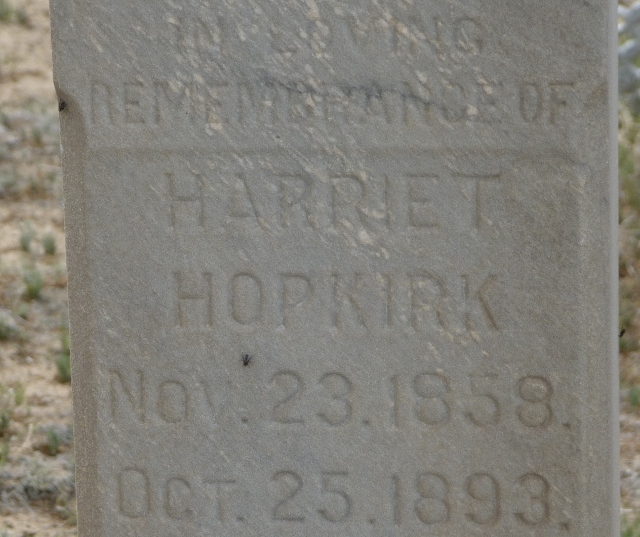 Harriet THORLEY died 25 Oct 1893, in Fremont, Colorado. John married a second time, to Rose A. Zeilor in Fremont County, Colorado. John HOPKIRK died 26 May 1909 at Fremont County Hospital in Canon City, Colorado. He was listed as a miner and widowed. 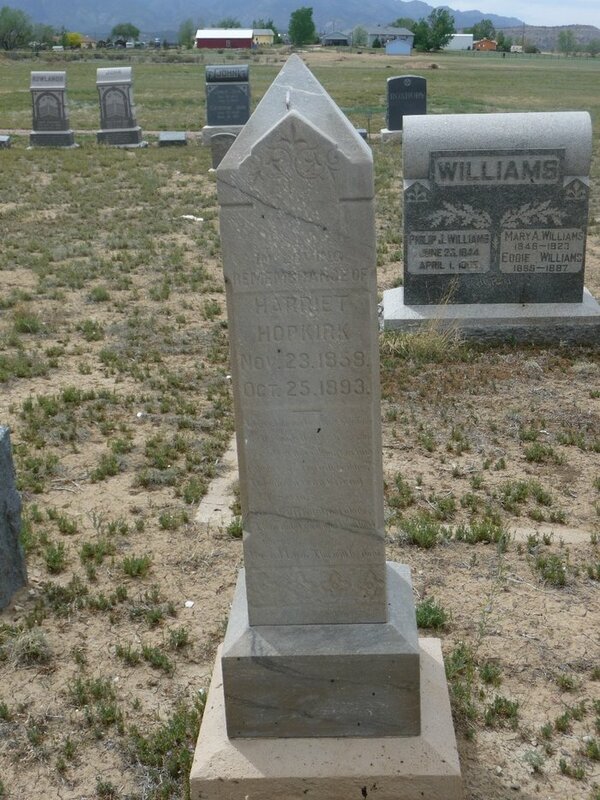 John was buried at Lakeside Cemetery in Canon City. Harriet Jane (Jennie) HOPKIRK, born 14 Feb 1886, Rock Vale, Colorado. Her first marriage was to Lewis Bradford Jones on 6 Jan 1904 in Canon City, Colorado. Her second marriage was to Walter Logan SIFERS on 12 Oct 1907 in Canon City. Walter SIFERS and his brother Edward SIFERS(below) were very close and when one of them found a job the other one usually went to work at the same place. Annie May HOPKIRK, born 17 Mar 1890, Rock Vale, Colorado. Her first marriage was to Gerald E. MURRAY on 15 November 1906 in Fremont County, Colorado. They had a son named James. Murray was killed in a mining accident and Annie remarried on 16 Nov 1910 to Edward Manley SIFERS in Cripple Creek, Colorado. Annie and Edward had four boys who died at a young age, and three daughters. Frederick J. HOPKIRK, born about 1891. On 10 Dec 1914 he married Edna STEELE OATES in Cripple Creek, Colorado. Fred and Edna had two daughters. Cella HOPKIRK, born around 1904 and died around 1905 and buried in the same grave as her father John Hopkirk who died in 1909. It appears there is no stone marking their burial site. The child's mother was probably Rose Zeilor. Our thanks goes to Beth Snyder for allowing us to post her photos of Harriet's gravestone here.